When asked what they want to be when they grow up, your son or daughter doesn't hesitate. They confidently reply that they are going to be the next Michael Phelps, Simone Biles or Lebron James. They feel most at home on the field or at the local sports center. For your aspiring athlete, here is a complete list of party places and athletic complexes in New Jersey that offer birthday packages. Scroll to read why sports are so important for children. 1. Physical Fitness: Well duh, you might say. Of course getting kids to participate in sports will benefit their physical fitness. The importance of this cannot be overlooked. With kids being less inclined to go outside and play, incorporating sports into their party will help combat childhood obesity, improve coordination and increase muscle tone, to name just a few benefits. 2. Social Skills: Sports participation also fosters social skills. Kids who do sports, whether it’s during an afternoon birthday party or as part of an after-school program, will learn teamwork, good sportsmanship and what it takes to be a leader. These healthy social skills carry over off the field. 3. Cognitive Enhancement: You might not think that sports and academics have much in common, but the truth is, athletes tend to have an advantage in school. Concentration, paying attention and learning new skills might be learned on the field or the court, but they most certainly have a positive impact in the classroom. 4. Cultivating Discipline: Whether it means listening to a coach, taking advice from a teammate or learning how to emotionally regulate when things don’t go their way, children learn enormous amounts of discipline when practicing sports. 5. Goal-setting: Similarly, it takes a special type of kid to dedicate their time and energy into playing a sport. Encourage your child to set mini-goals for themselves, whether that means running a faster timed mile than last year or making the varsity squad. 6. Improve Self-esteem: Playing sports helps grow a child’s self-esteem. They will feel proud of themselves if they score the winning goal during a game, or simply master a new skill that they’ve been practicing for weeks. 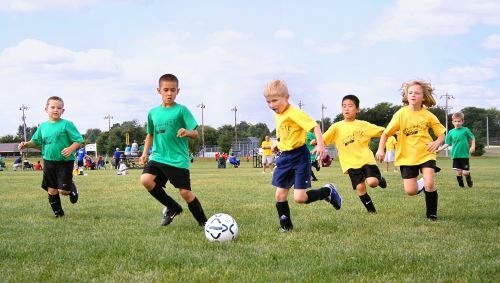 Despite the recent trend of ultra-competitive youth sports, kids can still play soccer, football and other games by organizing pick-up matches at the local park or in the neighborhood. For something that is a little more organized, public recreational leagues sponsored by the city or township usually only require a small fee, and allow kids to be introduced to the world of sports! 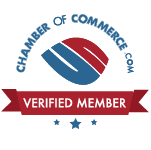 Are you an entertainer or business owner? Do you own an athletic complex in New Jersey and offer party packages for kids? Getting listed on KidsParties.Party connects you with individuals actively looking for places that host sports parties. Call 732-298-6015, or fill out this form to get listed today! Have you read up on the blog? It's loaded with all the birthday party information you'll ever need! We even have birthday wishes written just for your little athlete! Check out boy wishes, girl wishes, and many more for the perfect message to put in your card!